Throughout this website, and several others I contribute to, I suggest people file complaints with the Consumer Financial Protection Bureau (CFPB). I am usually responding to reader comments when I do, so the reason for suggesting filing the complaint is contained in each comment exchange, but only briefly. I want to be sure readers have a strong grasp as to why I am suggesting your complaint be filed with the CFPB, and also provide some commentary that I generally wouldn’t unless contained in a post like this. First off, the CFPB was born from the recession that many attribute to the lack of stronger financial regulation. The CFPB has regulatory and enforcement authority in several key economic areas that all of us interact with on a daily basis. You may be thinking “that is all well and good… it is nice to have someone looking over it all and watching out for us, but were we missing that before”? Yes and no. Much of federal regulation and enforcement of consumer financial products was spread out, and in my opinion resulted in being more spread thin. Yes, regulation existed, but enforcement in key areas was so slow to grind out positive outcomes for consumers, it seemingly may as well have not existed. Take CFPB direct oversight of the three big credit reporting agencies as an example. These large credit bureaus affect the vast majority of adult Americans, yet no one had the authority and oversight the CFPB now has over larger participants in the credit reporting space. The CFPB is perfectly positioned to be able to curb how credit bureaus allow debt collectors to reage collection accounts on credit reports. Something else about the CFPB, and part of what I really want to drive home to readers, is they do give a rip, and really want to hear from you about your interactions with businesses you engage regarding debt and credit. Debt and credit complaints to the CFPB get results. The CFPB is actively involved in helping you get results from the complaints you file. Read the entirety of the initial CFPB complaint process page to get a feel for how they will manage your complaint. You can see there are several CFPB touch points and involvement in helping you resolve your complaint. You will remain updated and aware throughout the life cycle of your complaint. Filing your complaint with the CFPB all starts on this page: https://www.consumerfinance.gov/complaint/. Be thorough and provide complete information when submitting your complaint to the CFPB. You can upload documents if they would be helpful. I often encourage putting an outline of your complaint together before you submit it to the CFPB. This will help you remember everything including dates, times of day for conversations you may have had, and an outline of what was said and by whom. That kind of detail will come in handy for the CFPB and the person investigating your complaint at the business you filed the complaint about. Regulatory complaints can guide the future. The CFPB is a future looking agency, and not about what just happened. In other words, your complaint may be about the recent past, but your complaints combined with others (to the CFPB and other state and federal agencies) can shape the world we live in later on. I help people resolve debt and credit issues. My work puts me in a position to care about the big picture when it comes to debt collectors. And even though the CFPB is currently only directly supervising larger participants in the debt collection space, that supervision, and current rule making for debt collection being considered, means debt collection complaints have, and will continue to, guide the activity and focus of the CFPB. But it is not just the CFPB that is in place to affect change through the complaint process. Businesses who are the targets of the complaints care about the issues too. No, I am not saying they care so much to have prevented the issues you had, or are having, in the first place (though they may). I am saying that it will be some of the better positioned people in the organization that will often be looking into the complaints they get from the CFPB. At a high level, that information is going to lead to changes in business practices that will trickle down to the people, processes and policies that you and I interact with. You may never have a mortgage or student loan complaint. And you may never have to file one years from now after you have had a mortgage or three, and paid off student loans, as a result of the complaints that led to positive industry changes earlier. I suspect that over time, the CFPB complaint process will provide us all with a tool that we can use to vote with our feet and wallet before we decide to engage with a business or service. Businesses and services using the portal. I also suspect the CFPB complaint portal will provide a tool for businesses interacting with other businesses. One example of how that may happen would be the relationship between credit card banks and debt collectors they use, or debt buyers they sell unpaid accounts to. Debt collectors will likely always receive a high level of complaints in our current system. It is the nature of the business. The CFPB portal is already loaded with complaints against debt collectors. But any collection agency or debt buyer with a high level of unsatisfactorily resolved complaints; a high metric for certain types of complaints; or complaints going without response, could lead to a scenario where I can see banks using the data as what I will dub “the CFPB metric”. This metric could mean debt collectors and buyers losing contracts until the company shows improvement, or perhaps just ceasing doing business with anyone without a passing grade. While I recommend doing everything you can to resolve complaints and concerns you have with businesses in the consumer finance space by dealing directly with companies and service providers, the CFPB complaint process continues to impress me. The speed and impact the system delivers to people I have heard back from is huge. I should also point out that your filing a complaint is not just about you getting something resolved in isolation. Your complaint can potentially help someone else after they read about how that same company stepped up to do right by you. They can then file their complaint with the CFPB where the may not have before, or perhaps even contact the company directly with more confidence instead. I see the CFPB complaint process ultimately leading to consumer markets that place a higher priority on fair dealings. If you have questions or concerns about filing your complaint with the CFPB, or would like to share the outcome of any complaint you filed, you are welcome to post in the comments below. I am writing to get some type of direction. In 2008, I left an apartment without giving them a 30 day notice to vacant (I was in a month-to-month lease) because my father passed away suddenly and I moved back home to help my mom. Although, I’d spoken to the leasing office and they understood, they still wanted their rent and I respected it and agreed to do so. But after the funeral and dealing with my grieving mom, I failed to keep an open line of communication with the apartment complex-so they ended up taking me court and filed a garnishment on my wages. I completed it and moved on with my life. Years later 2013, in a new complex, I took all the necessary steps in leaving my apartment, paid all my last bills, gave a notice after my lease ended, moved out & didn’t look back. I’ve now moved to North Carolina & my new place brought up the judgment, (which was completed/satisfied in 2011) I handed the judgment satisfaction paperwork & moved in (no problems). I recently went to check my credit report and saw a judgment on there from the place I left in 2013. Confused and bewildered-I filed a dispute. No information was provided, so the credit bureaus deleted the judgment. Now that I’m moving to a house, I am getting denied because NC searches court databases and it shows that the judgment is still there. The docket information shows the Attorney (might I add who is the same attorney from my previous garnishment, with almost the same amount as the previous judgment-only a $7 difference) has been subpoenaed twice for production of evidence/documents-but has failed to comply. Hence, resulting in the judgment being deleted off my credit report. I honestly feel like the apartment complex & the attorney were working some type of scam and now have no proof of this bogus claim of eviction, to try to get some money from me, seeing as though I’ve gone through the issue before. But I made sure not to have any issues like that again, because that garnishment killed me! I lived and worked in Ohio for 2 years after this judgment was filed, so I’m wondering why wouldn’t they garnish my wages while I was in Ohio-if this was a legitimate case? I smell a rat. What can I do? I’ve been in tears trying to figure out what is going on and what to do. this morning I called the Attorney’s office, and even his paralegal was a bit confused by all the mishandling of this “case”. Of course, he doesn’t say that, but as he’s reading the information, he states, “yeah this looks like an unusual case”. I have talked to the apartment complex that started the eviction and at first the woman says she sees a $0 balance and then puts me on hold. Comes back after speaking with her Regional Manager (who are all new management-they acquired the company a few years ago) says there is a balance of $2000. I’m furious at this point, because I know for sure-I didn’t leave them with a balance and even left my security deposit (which I think was small, due to a special they were running when I moved in, I think I just forgot about it). I know I would not put myself in another situation to be garnished, so I know that I took every step necessary to do the right thing. I have tried out to Legal Aid to see if they can help me, but how much can I do from North Carolina, if this case is in Ohio? Help please!!! I would file a debt collection complaint with all the histrionics and any documentation you have with the CFPB. Let me know the outcome of that. In 2004 When I was 15 I had a dnc and my step father signed papers. After surgery they also had me sign something as well. When I turned 18 in 2008 I got a summons for court saying I owe 5320.00 to cocktail south. I was late getting to court and my step father had already seen the judge and basically agreed we both will pay the amount. I began getting garnished in 2009. After my garnishment was uo I tried getting this off of me . I felt I was under age and wasn’t responsible for the bill. My mother said she filed bankruptcy and added that to her file. So I haven’t heard from this company in years. Now it is 2016 and I got a garnishment on me through my job. I didn’t receive a phone call or letter. Out of no where they Bagan taking money from me. My question is I live in missouri should I be responsible for this bill since I was under age? Also this happend 12 years ago, are they able to go after me for this after so many years have past? And what would be best for me to start doing? I’m single mother of 3 and have very low income.. I e tried recently getting in touch with low income lawyers and no one will help me. I found out my mother obviously did not file it with her bankruptcy seeing as she was never on any of my paperwork. I forgot to mention my total now is 8126.00 the interest has sky rocketed. This year alone between both of our garnishments we have paid 3,000.00 off. I would file a debt collection complaint with the CFPB. You were a minor and that should be the focus of your complaint. This will get the serious attention it likely deserves. You may want to reach out to an experienced debt collection defense attorney in your state too. If there are violations you may be able to work with one at no cost to you. If you like, I can send you an email with contacts to some in your state? What state are you in? Hi Michael, first… thank you! You are providing phenomenal, useful information. I have noticed on my credit report I have 3 instances of bad credit that have been rolling for well over 10-15 .years in which this time I have never made a payment. All of these are very old credit card debt with the highest being $1825. Calvary has the one for $1825. I have never received any information, letters or been legally served by any of these debts in the past 10 years and have resided at the same residence in this time. I am in Florida and I believe the statue of limitations is 5 years for this kind of debt. I recently started looking for options for a mortgage loan and noticed these are holding my credit rating at “POOR”. I did have a problem with AT&T TV services as I was overcharged for their services 2 years ago and canceled outside of contract. Yes, the contract had expired. They then incured a $750 cancellation fee and immediately put it into collection without contacting me first. I am working to resolve this one. Other than stated above, there is no other bad debt on my report. 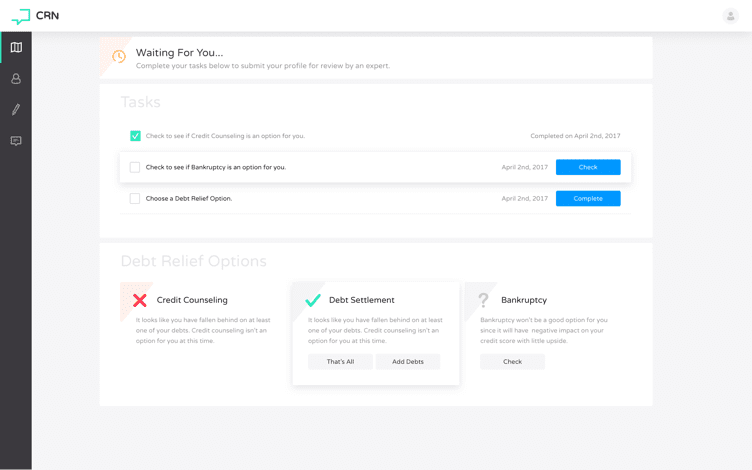 Could you please tell me how I can find the best and possibly the easiest way to get this old debt removed from my report and hopefully bring my credit score back up? Thank you again for all of this valuable information you are providing. If it were me, I would begin with credit bureau disputes I send myself. Read that article in full. If you go with it, post an update with the outcome and lets go from there. I am going to try to dispute them all with the Credit Bureaus myself as you suggest. I actually have 4 bad debt after carefully examining all of my credit reports. They are showing that the last payments made on all of them were either June or July of 2009. I am sure that 3 out of the 4 are incorrect and have been over 10 years since I paid. Also one shows a payment was made in which I know it was a payment I did not make. Should I use debt validation on this one? Any suggestions of exactly how I can be successful removing the debt that is beyond both federal and state SOLs. I am really hoping the Credit Bureaus will take my side with SOLs. Also, I will post an update after I hear back from the 3 Credit Bureaus when I complete the process. Thanks again for all the value you provide! I resolved an old HSBC credit card debt that was so old that it was no longer listed on my credit report. I wanted to get it cleared and so on 10/15/2015 I paid $1567 and received a zero balance letter from Vance and Huffman. I now have another company named Consumers First Management telling me that they are the creditor of record since September of this year (2016) and that Vance and Huffman ripped me off. I called Vance and Huffman and they stated that they cleared the trade line and thus CSM has no legal right to collect this debt. Both companies state that the other is fraudulent and I am not sure how to verify who is acting legally and who is not. How do I verify/validate that Vance and Huffman actually owned the debt when I paid them? How do I ensure that CSM is acting legally? Do I pay this debt again just to be certain that it does not show up on my credit report again? I would suggest filing a collection complaint against Consumer First Management with the CFPB. Follow the instruction in the above article. Let me know the outcome, and if need be, we can go from there. My Mom and I bank with California Bank and Trust. Over the past several years, she and I have paid thousands of dollars in bank fees. Although we are both on social security with limited incomes, we have, until now paid any fees,they required. The $36 overdraft fee is rather standard. However, in most instances, I believe this flat fee is not directly corelated to event and is taking advantage of me. There were many instances of having to pay the fee for an item lead than $5,be it weather they paid it or not. If I decided to in my definition take,out a shirt term loan for a,large amount $400-500 for the $36 this is worth it. They agreed to it or when i requested. It at the atm they simply could have declined to give me the money. The bank has started to charge monthly fee for paper statement.-not one but a fee charged to each account that cones on the one no th my statenent-so each account is charged $5 even though one statement. That’s $15 month fee. They began charging a daily $6 fee in addition to the $36 fee. I requested they not pay anything if I didn’t have sufficient and u didn’t want overdraft protection. I never applied for it. I don’t want to pay for an item at all. They shouldn’t pay if there’s no money in the account. They put me,in a very,bad situation. Example: I have $2 I in my account. An item presented for 2.01 where I made a ,mistake in my balance available. They reject or pay, either way they charge me $36. Now a I’m overdrawn and charged a fee taking advantage of me. In addition I will be charged another $300 in daily overage draft fees. This is given I don’t get,my,ss check for another month because all money is taken by bills immediately. This happened recently. So for that .01 they paid on my behalf, that I requested them never to do, they are charging,me a minimum of $336. A couple weeks ago my Mom’s account was positive with .01. They went ahead and,charged her a $90 box fee, charged her $36 for the insufficuent funds and another $6 a day for 30 days. Now they will take half her Ss check and she can’t stop them or protest the fees as her check is auto deposit. She,just changed to the Direct Express debut card but the switch over won’t occur until after her next direct deposit. This is all Pure Usery. The direct express card for Ss charges no fees. They get to earn interest on monies in our accounts via their,use of the,money in their trading and they don’t charge you if a transaction us requested and they decline it. That’s the way it should be. Not enough there just reject without any fees,to account holder. I’m sticking with the Direct expresss.peace if mind. They won’t be taking me for every .01 they can get and I’ll never be overdrawn $400 all in bank fees. Is there anything my,Mom and I can do besides no longer banking with them. Will we get in trouble for not being able to pay there fees. We are already in grave financial hardship. Thank you. I moved your comment to this page about filing a complaint with the CFPB. Be sure to read the article. I would file a complaint if I were you. There are actions against banks that do this type of thing after you opt out of any overdraft protections. I would also move banks. Let me know what comes of the complaint. I have have been diligent in trying to pay off 2 credit cards with a high balance until My job of 9 1/2 years ended in April 2016. Once my job ended I could no longer afford to make payments. I owe Capital One 21,555 and Chase Slate $15,900. Capital One has been so nice and have not even charged late fees but Chase has been not so great. My issue is with Chase. I asked them to remove my husband as an authorized user and they refuse to remove him unless I get the account up to date which would require me to pay close to $2000. (Capital One removed him as an authorized user with no problem ). We spoke with a bankruptcy attorney a few months ago and decided that I should try to file Chapter 7 since I am out of work and my husband would not file and at least one of us would have good credit. In trying to get in the best financial shape we can we put off filing BR and my husband was going to refinance our house and combine with our equity line to a 15 year mortgage which will save us 60,000. Due to low interest rates we will only be paying 50 more per month. I am 59 and he is 55. When he began the refinancing process and they ran a credit report with Trans Union his credit score was 650 due to him being listed as an authorized user on both credit cards. This now stops refinancing plans. Can only one of us file for bankruptcy like the attorney suggested and is it legal for Chase to refuse to remove my husband as an authorized user? This practice really harms us at a time we are struggling with me not working and trying to make ends meet and pay all of our bills (his debt is less than mine.). My attorney suggested I call and request the authorized user to be removed , speak with a manager if necessary and advise that I will report their unfair practice to the OCC. Thank you for your time. I would file a complaint with the CFPB about them not removing the authorized user. While it is possible this is a discretionary situation, I am not aware of what allows them to refuse you. Getting to the bottom of it through the CFPB may be possible. Please be sure to post an update with what you learn. I have an update about Chase refusing to remove an authorized user. I called Chase again and was actually connected to a collection agency. After answering questions about why I’ve been unable to pay I again requested to have my husband removed as an authorized remover. I was connected to a different representative who was going to remove him however he said for some reason he could not remove the authorized user and he admitted that he had never seen that before. He gave me a number for my husband to call to request to be removed as an authorized user and he said my husband could also request to have the account removed from his credit report at the same time. That number was Chase’s Credit Bureau Specialist and they are only available during regular business hours. My husband called and I had to speak with the rep. Again this was the collection agency so I had to speak with that rep and then was connected to another representative who stated she was unable to remove him as an authorized user. I asked to be connected to Chase’s Credit Bureau Specialist and advised I was given this information previously after speaking with John. Once the 2nd rep connected me to the Credit Bureau Specialist there were no more issues. The Specialist spoke with my husband and told him he had been removed as an authorized user. He asked to also have this account removed from his credit report. He was advised that he would receive a letter in the mail within 3-5 business days showing him removed as an authorized user. In 7-10 business days we were told the account should be removed from his credit report. Hopefully this will happen. If not we plan to file a complaint with the CFPB. I will send an update to you. I appreciate greatly your advice on filing a complaint with the CFPB if he was denied removal as an authorized user until the account was paid up to date. We were ready to do that but hope to see the confirmation letter within the next 3-5 business days. If it is helpful I can also provide the number to Chase’s Credit Bureau Specialist . Thank you again! Thanks for posting the update Cindy. Please let me know how everything turns out, and yes, please do post the number to the credit bureau specialist for others to see. Hi Michael with my situation with the collection agency who has a judgement against me with the court back in 2013 well I was making payments to them then all a sudden they send my payment back. I called them today to make payment arrangements and they informed me that in the same year the debt was recalled by the original creditor nco financial and that they closed the account with me. I spoke with an attorney and truly no help idk what to do to release this old judgement off of me if the person suing me said I don’t owe them any longer. I asked them to send me something in writing and I’m currently waiting. I’m sure it’s a way to get that judgment removed but no help. Do you have a copy of the judgment? Is NCO listed as the plaintiff? I am a trans* person who had a credit card with BofA. My bank acccount had overdraft protection on it, linked to this card. I had my name and gender legally changed prior to my move and I closed my BofA checking/savings (c/s) account shortly after moving to another address. I then zeroed out my credit card (cc) by paying it down in one lump sum, then cut it up. I opened another c/s account at a credit union just before closing my BofA c/s account. So then I get a forwarded letter from my old address from the BofA cc account months later and it has accrued late charges totaling something like 325 dollars. I called them to ask what the charges were for and they would not speak to me because I told them my legal name, despite telling them that I have a legal document that would prove my identity. Not only that, the c/s account was quite old and referred to me by a nickname, not my birth name, so there was yet another name in the mix. I then tried the website to see if I could bring up the account, but did not ever set up online account access with them and could not now do so without falsifying information. I wrote a message from within the website help and they told me that I would have to call. I called again, only to be told that I am not the account holder, so I may not access the account. Two years later, I cannot open a bank account now, thanks to this outstanding debt. I called BofA again last week and they told me that it is out of their hands because they already sold the debt. I don’t believe that this debt is justified in the first place, since it is, according to BofA, stemming from an overdraft protection service charge. That’s what? $10 – 15 a month? And the debt that was sold was over $600.00. I believe that BofA should allow me to settle for the original debt of $10 – 15 as my original debtor and waive the insane fees they tacked on. I tried to close everything properly, but perhaps should have closed the account before changing my name. The hard part is that I wouldn’t have been able to open a new account until the name and gender change process was complete and I would have been without direct deposit, checks, debit, PayPal, and credit until I had my official papers in-hand. Even so, my paperwork from my grandfathered account from the BofA in Texas, that has a nickname instead of my then-legal name, would have made the process difficult, as it would have required someone who is American* to think. Is it worth crafting a letter to BofA, asking them to settle for the original debt that I did not know about until it had escalated into a damning financial mess, thanks to my transition and move? BofA ran into trouble with their protection plans. And I agree, this collection account should not be legitimate. BofA has stone walled you from the word go. Maybe not on purpose, because what you described is often the chronology I hear about red tape victimization. Follow my suggestions in the article and file a complaint with the CFPB. Submit a complete account of all that has happened, and all of your actions. I suspect this will get worked out quickly (matter of a couple weeks). Please post an update with the outcome. Thank you, Michael, for your advice leading me to submit a complaint through the CFPB. After explaining my case and providing the legal papers that prove my name and gender change, a representative from BofA called to tell me that they were on the case and asked if I wanted to provide any further information. I said that they could contect me if they needed any, but they should have everything right there within the complaint. At no time was the person I spoke to disrespectful or anything less than professional, which is what I expected. They said that they had two weeks to resolve the matter and today was two weeks from that day. * I was referred to by my “legal name” which is no longer my legal name and I corrected them. Many apologies and thank yous ensued. * I was informed that BofA does indeed still possess the debt and that their company, National Enterprise Systems handles the collection portion of it – something not disclosed before today. * The investigator/representative told me that they found the account debt in order, along with the late fees and referred me to the collection company to seek a way to resolve the debt. * Constant eggshell-wary, euphemistic language was used to tell me that A) I am wrong; and B) Go pay the full and constantly growing debt. * I was given direction to bring my name and gender change papers to a branch of BofA in order to change the name on the account. I informed her that I did not have an account – which I rather felt she should already know. * She then told me to contact the collection company, NES, and advised to use my “legal name, (she told me which name to use here)” along with the last four numbers of my SSN. * Once again, I reminded her that that name is no longer my legal name and that what she keeps doing to me by insisting that it is describes the whole matter. * I asked why I needed to go to a BofA branch, outing myself to a stranger and anyone else in management, in order to change a name on accounts that are no longer open. She agreed that my accounts are no longer open and reversed her position, saying that I didn’t have to go into a branch anymore. * I was given the phone number for the collection agency, NES, and sweetly told that they would be able to help me with a resolution. * I firmly and politely told the representative that I was dissatisfied with the outcome of her investigation and that I feel that it was not done in a fair and informative manner, as I still do not understand the original debt, nor the steps that BofA took in attempting to contact me. * The call was closed with a wish for a nice day, ignoring my last sentiments. So now my options are to call the NES (unjust), ignore the debt (bad move) or file a lawsuit over what amounts to a mishandling of my case due to ignorance and lack of procedure in handling name/gender changes that are supposed to be secret in order to protect the individual. The transgender law center may not take my case over the money, but they may take it on the principle that BofA cannot seem to deal with someone as a representative of their legal person or as a natural person. I will reiterate that I am not running away from my debt where the fault is mine – namely in having overdraft protection and not promptly preparing my account for closure or even a name change. I want to pay that amount in full – right now. However, the late fees so heavily outstrip the original debt that it is comical as well as outrageously punitive when attempts have been made to rectify the problem as soon as I knew about it. I would probably settle with National Enterprise for between 20 and 40 percent of today’s balance. Get it all in writing before you pay. I would then look at taking any further action based on principle. This way you deal with the collection and get your credit back on track, but still pursue any angles of interest. Thank you Michael. I will try that and report the outcome here. I am wondering how to proceed with Novea Port regarding a “reaging” of debt. I have an old debt with Chase, dola is June 2009. I recently checked my Credit report and it shows I opened the account in 2014. Not sure if I should contact them or let it lie for 1 year when the 7 years is up. I live in Texas so the sol is passed (4 yrs). A side note; Discover just closed my acct that was in good standing due to this report. I would file a credit reporting complaint against them with the CFPB. If you are certain that Discover closed your account because of Novea showing up on your credit report as a recent collection item, be sure to bring that point up in your complaint.